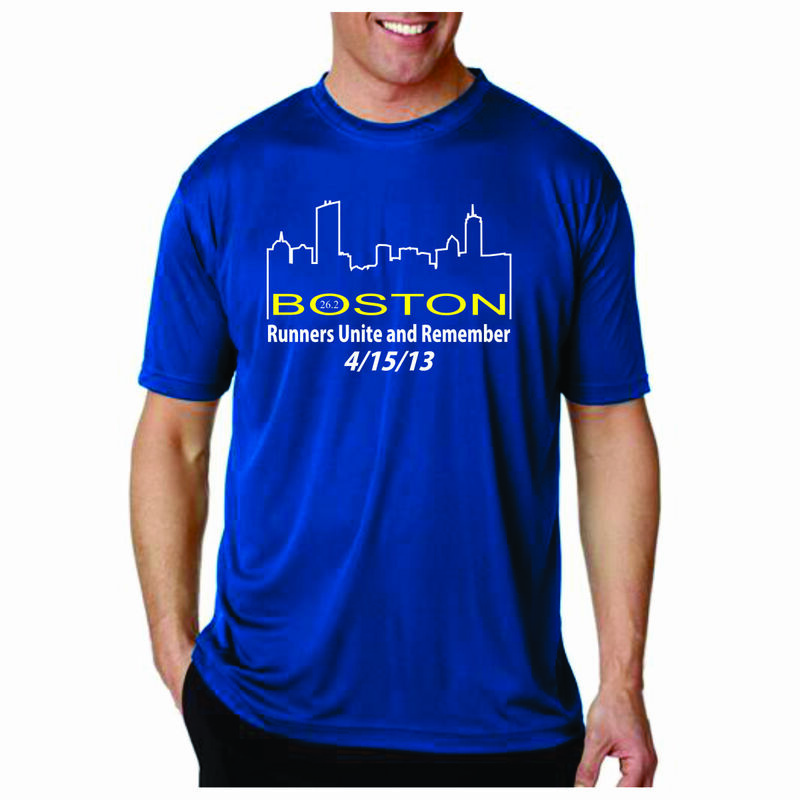 Boston Marathon Memorial T-Shirt, Control your comfort with this performance tee that will keep you cool and dry. This Boston Marathon Remembrance T-Shirt is a runners tech tee and offers supreme performance and comfort. This Boston Marathon T-Shirt is being produced by an American company here in the USA. If you have been looking for a techwick Boston Marathon Memorial T-Shirt, then you will want to give our tee a look. Unique and comfortable, our Boston Marathon Memorial T-Shirt is a brilliant royal blue, with a Boston design on the front. Produced by AMBRO Manufacturing in Flemington, NJ, your Boston Marathon Memorial T-Shirt will ship from New Jersey nation wide. Durable and comfortable, not only will you be complemented on your memorial tee, it will hold up in the wash for years to come.